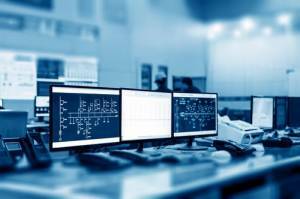 Is it time to upgrade your old tech and start looking at contemporary control room designs? If your control room no longer serves you or benefits your business the way it should, don’t take it personally. Your business isn’t to blame; it could very well be your outdated control room. In the past when it comes to control room design, there wasn’t the same level of understanding of workflow, and there definitely wasn’t the same technology to manage. The control room of today is a whole different ball game. Let’s take a look at what you can expect from the latest in design for control rooms. Increasing situational awareness is critical to a successful upgrade or new-build for your business communication hub. Contemporary control room designs focus on efficiency and operator effectiveness. This must include improved situational awareness that comes from good design, thoughtful tech layout, and access to information, data, and communication. The design of modern control rooms must have technology at the forefront of the design considerations. Needs and requirements of the business, the operators, and the staff will determine layout, but the technology itself will be the backbone of the function of the setup. Advanced communication technology makes it easier and more efficient for techs, operators, and staff to communicate within a control room setting. No need for notes, phone calls, running across the room, or yelling from station to station. Developments in methods of communication make it easier than ever for your employees to be able to stay in touch and on top of the business at hand. Workspaces in updated command centers are much more operator-focused than they used to be. Instead of focusing on the needs of the business, the needs of the operators now take top-billing. If your operators don’t have quick, easy access to everything they need from an ergonomic chair to the monitors that are at the right height for their sightline, and from unobstructed video displays to tech that doesn’t require reaching, it doesn’t matter what your business is. Focus on your operators, and they’ll take care of your business. No matter what your industry, if you need a control room upgrade or you are starting the process of building one to support your business, you have to have a design that will work for the people who work for your business. Don’t compromise when it comes to hiring the right team. Contact the best of the best at Fountainhead for contemporary control room designs that will help your team perform at their peak.